On today’s episode, I am so sorry (not sorry) to remind you all that it is currently wedding season. I mean, is it just me, or are these tortuous months becoming longer and longer every year? There are just so many events! Public question-popping, then the engagement party, not to mention the wedding shower, bachelor or bachelorette parties...the list is long. Very long., Then you are expected to dress up, bring gifts, and interact with lots of people that you don’t know? Nightmare. For my wedding, I didn’t do a bachelorette party, but I did do a bridal shower. I tried to keep it easy on my guests though, and only expected food (which is always my favorite thing). I also wanted people to take lots of pictures to look back on in the future. Food and pictures, that’s all I wanted! My first tip is to know what you can and cannot do, and what you are willing to do. · What is your schedule? · Which events are you comfortable, or at least mostly comfortable, attending? Next, create levels, or a priority list. Is the wedding for a close friend or sibling, or a second cousin whom you only see occasionally? Is a bachelor or bachelorette party super unappealing to you? If it is someone you are close to, then they may understand, but they may also be disappointed if you don’t attend all the events. Instead, offer to help with something is a good option in lieu of attending an event. Maybe offer to choose flowers instead of attending an event you are secretly dreading. For the events that you don’t want to attend, make sure that you have your excuse list ready. Maybe you can say you have to get up early, that work might overlap, there is some sort of appointment scheduled or that maybe you or your child have been ill. The second tip is to mingle early so you can leave early. People will know that you attended if you take time to speak with a few of the other guests and some family members. And don’t forget to circle back to the host a few times! Another great idea is to find a task and calm your nerves by putting yourself to work. Help set up tables, offer to take photos (and be in some of them, for social media proof! ), and check in with family members to see if you can help them with anything. I know at Asian parties that the food is served first. I tend to head to the food first because that also gives a starting point for conversations. “The mango salad is super spicy” is a good way to spark a conversation if you are feeling a bit out of place! Create a plan for a quiet exit at the appropriate time. Take note of the exits, locate the restrooms and look for quiet areas that you can use for a quick break or two (a garden, for example). When it comes to actually leaving, make sure you have your own transportation or an agreed upon time to leave with another guest. But a bit of advice: don’t ride with your cousin who is always late and then stays until the bitter end if that doesn’t work for you. Circling back to number two, when possible create social media and photographic proof that you were there. Take pictures with the bride and groom, of the food and some of the other details. They will appreciate that you noticed and it is proof that you were there. But, make sure you respect the professional photographer and stay out of their way. 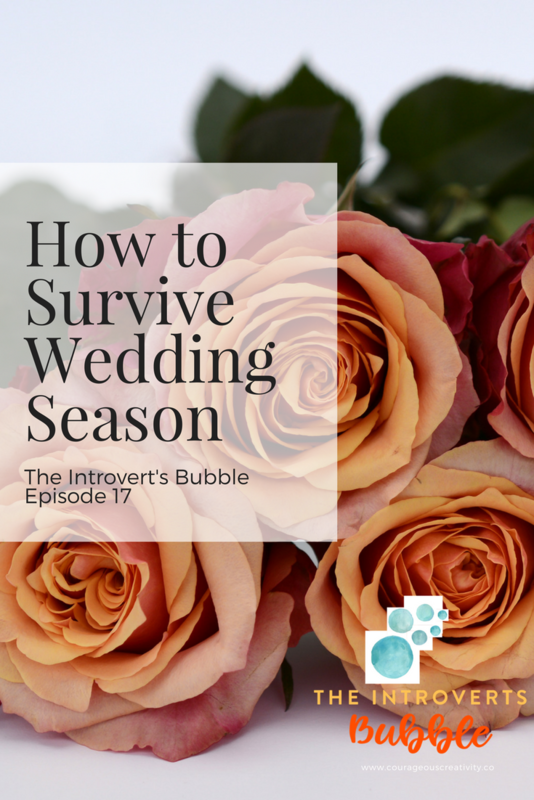 I hope these three tips help you enjoy and navigate this wedding season and events going forward!